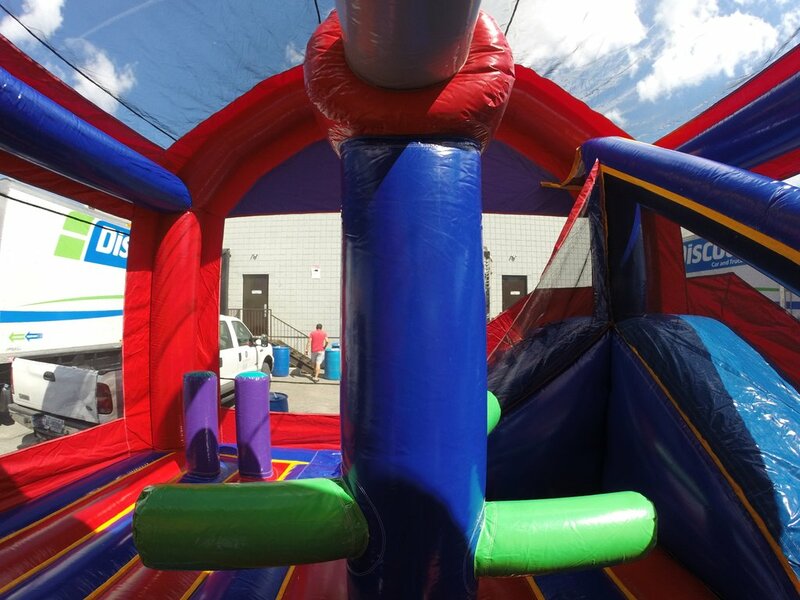 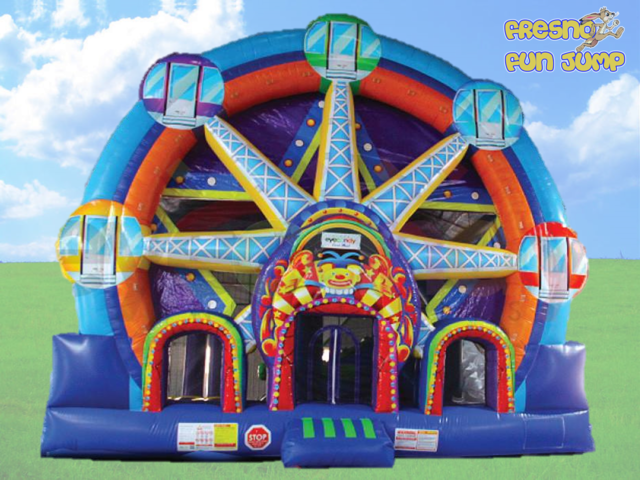 Every fun event should have a Ferris Wheel and now’s your chance to add one to your event. 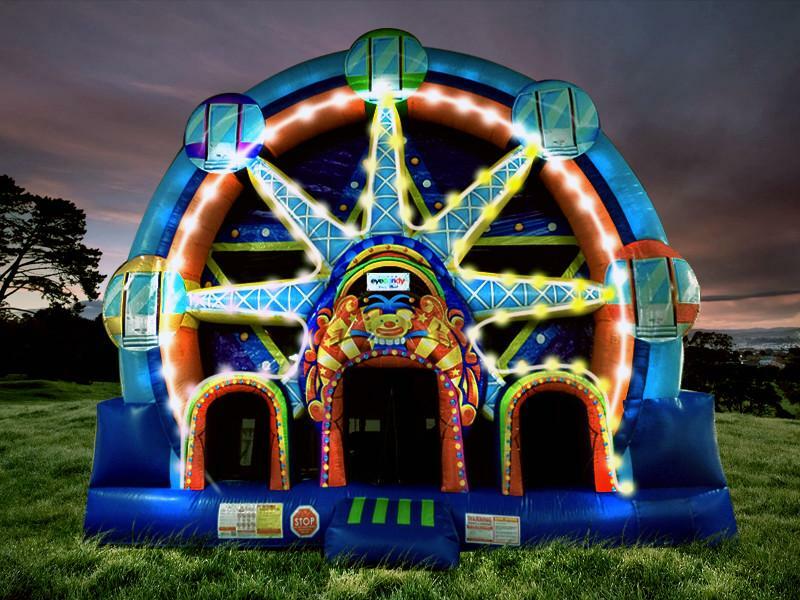 Towering over 17 feet in the air the LED lit up Ferris Wheel will be the centerpiece of your next event. 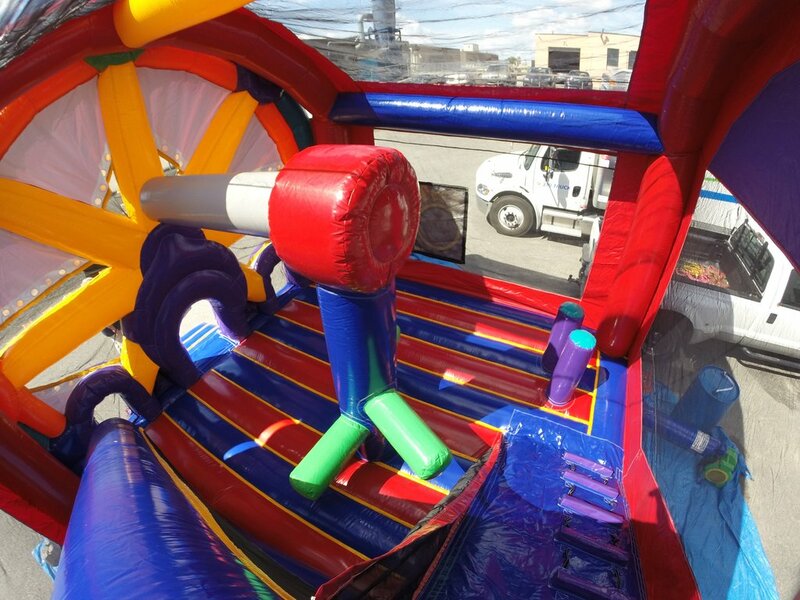 The Ferris Wheel includes 5 activities along with a large bouncing area on the inside and a carnival game panel on the outside.